Eye: Deep crimson and amber. Nose: Charentais rancio, due to the slow ageing of the tannins from the oak barrel. Warm notes of cinnamon and prune. Palate: Bitter spicy orange notes that dominate without excess, and a hint of ginger. A lengthy finish; the sign of an excellent Premier Cru blend. The finish takes us on a powerful spice journey with notes of old leather and saffron. A velvety texture. A premium and well aged Cognac by Hardy, the Hardy Noces de Diamant Cognac is as stunning as the name suggests. Aged for at least 60 years in Limousin oak barrels, it has a complex assembly with each decade that passes. 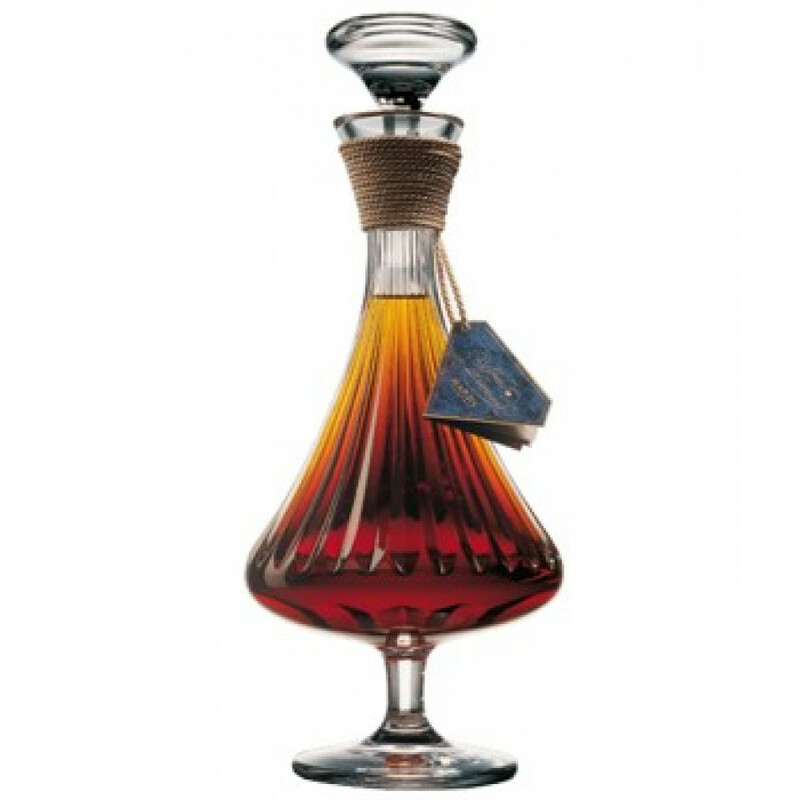 For that reason, it earns pride of place as a Prestige age Cognac, arriving in an incredible crystal decanter that will take pride of place wherever you might put it. With eaux-de-vie ranging from over thirty, forty, fifty years and more, it is a fitting and luxurious celebration of time passing and careful maturation. The result is a rich, fruity and leathery Cognac. All of the precious eaux-de-vie descend from the Grande Champagne terroir, also known as the Premier Cru. The Noces de Diamant 70cl Cognac forms part of the Prestige collection from this coveted Cognac maison. The Grande Champagne is famous for its soil composition, which is high in chalk content. The fine consistency and easy drainage means that the vines are consistently hydrated and the eaux-de-vie results in a particular finesse. The Noces de Diamant Cognac is a very unique expression of this cru. Geologically, the area forms part of the Aquitaine basin and is made up of many different marine sedimentary deposits and fossils. Laid down in the Jurassic period over the time frame of around 200 million years, it is this unique composition that we have to thank for refined and floral eaux-de-vie in the Hardy Noces de Diamant. An ancestor of the Hardy Cognac Prestige selection, it joins the “Perfection” Cognac and “Noces d’Or”. Enjoy this rare and precious nectar neat, taking in both the aroma and palette of flavors reflectively and slowly. The Noces de Diamant is presented in a hand cut Cristalleries des Vosges decanter, to match the finesse of the eaux-de-vie within. Wow, to think I thought I was the only one who knew about these incredible cognacs. When they came to me to represent them, I had to do some research, then my research included tasting the products. I LOVE MY JOB! They are simply amazing products and priced well below what they could be. I hope you will find them soon in places all over the country. Right now you can enjoy both the XO and VSOP in any O.T.G. airport terminal in the USA. (Delta) please let me know if you need any information or I might even be able to ship you a few samples. (Don't be asking for Perfection! LOL) Thanks Cognac Lovers, we appreciate it!